Specialty: General surgery of treatment for thyroid gland, breasts, gastrointestinal and intrahepatic diseases. Diagnosis and treatment for urology surgery including kidney, ureter, bladder, prostate, urethra and reproductive system. Associate professor Long Yun has been engaged in surgical clinic work for more than 40 years and he is expert in diagnosis and treatment for common surgical diseases. Besides, he also has abundant experience in surgery for tumor and difficult surgery. Since 1990s, he began to conduct abdominal surgery, minimally invasive laparoscopic operation and minimally invasive endoscopic surgery of urology, such as, cholecystectomy, appendectomy, hepatic abscess excise top operation, abdominal adhesions decomposition technique, large intestine, small intestine tumor resection and mammotome minimally invasive breast surgery. 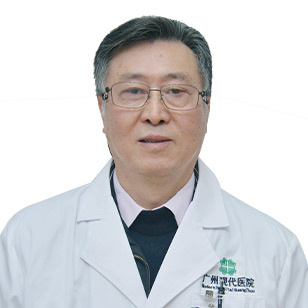 Moreover, he is quite good at application of TCM&Western medicine after tumor section of general surgery, urology surgery and reproductive system. The application of TCM&Western medicine after surgery has been widely practiced in clinic and yielded good efficacy for promoting rehabilitation and preventing recurrence. He gained high praise from patients by serving with solid expertise and attentive service. Associate professor Long Yun has been engaged in surgical clinic work for more than 40 years. Since 1990s, he began to conduct abdominal surgery, minimally invasive laparoscopic operation and minimally invasive endoscopic surgery of urology. He also has abundant experience in surgery for tumor and difficult surgery.